Elie Hirschfeld, president of Hirschfeld Properties and an outspoken fan of President Trump, paid $16,000 for a hand-drawn sketch of the Empire State Building created by the president, The Real Deal has learned. 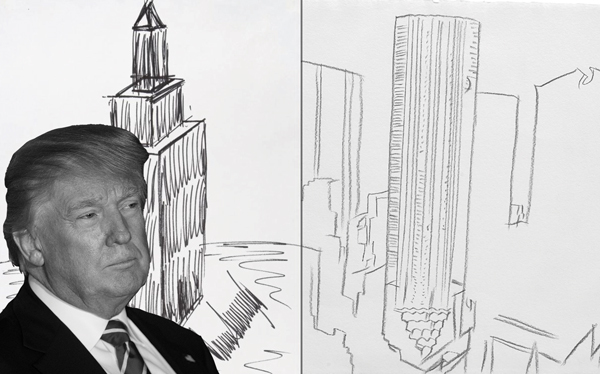 Trump drew the iconic building in black marker in 1995, while he was battling for control of the property, then the tallest building in New York. In the same year, he donated the drawing to a charity auction in West Palm Beach. It sold for under $100, according to Julien’s, the Los Angeles auction house where the doodle was up for auction Thursday. The auction house valued the sketch at between $8,000 and $12,000. Hirschfeld was thrilled to have acquired the drawing. Another recent addition to Hirschfeld’s collection is an Andy Warhol sketch, in pencil, of Trump Tower and surrounding buildings. Hirschfeld paid close to $50,000 for the 1981 drawing titled Trump Tower last month. In 1994, Trump partnered with Japanese business man Hideki Yokoi and acquired a 50 percent stake in the building, reportedly paying just $100,000. 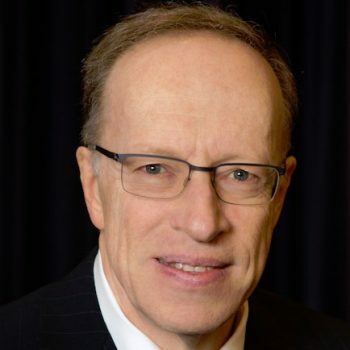 But the partners failed to wrest control from the leaseholders, and after nearly a decade of legal battles, sold the building in 2002 to a group led by Anthony Malkin, the head of Empire State Realty Trust.